Confused by the Feds | North Carolina Fisheries Association, Inc.
Why am I confused? My next birthday will be my 71st, so perhaps you may think my confusion comes naturally. Take fish politics. (PLEASE!) You may have read about the Modern Fish Act that passed the Senate with no opposition and then passed the House 350 – 11, and signed by President Trump on the last day of 2018. Many recreational fishing groups are saying it’s the greatest thing for recreational fishing ever. 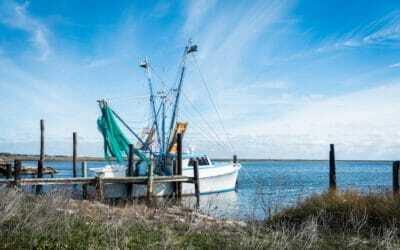 President Trump issued a statement after signing the bill and seems like he has heartburn over the federal fishery management council’s increasing authority and makeup of the eight regional management councils. If you know anything about fish politics, you would expect that if the recreational fishing groups are praising a piece of legislation, the commercial folks would be screaming about it from the opposite end. But they aren’t. Why is that? Maybe…just maybe… it’s because the Modern Fish Act doesn’t really do anything except make a few folks feel good and help a few rec organizations get some new members by convincing them they are just so darn good. And that’s OK. Groups that purport to represent folks need to be relevant or at least have that perception. Some background: The eight federal fishery management councils came to be when the Magnuson Act was passed in 1976. In North Carolina we have interest in all three Atlantic coast councils due to the fisheries our fishermen participate in: New England, Mid Atlantic and South Atlantic. We have “official” representation via voting members on the Mid Atlantic and South Atlantic. 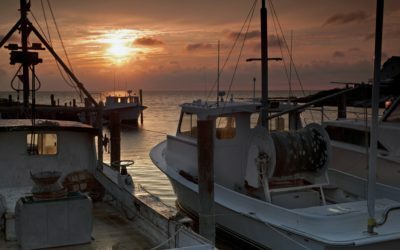 Some of our fishermen also have an interest in what goes on in New England and the Gulf of Mexico Council but we have no official representation. Governors of their respective states make nominations for the Council to the U.S. Secretary of Commerce. The Secretary, then, has the final decision of the council appointments. I was appointed to the South Atlantic Fishery Management Council for a three year term in 1989 and reappointed in 1992. At that time, there were only two members (total of 13 voting members) of the SAFMC that were considered “commercial”, being myself and Jack Amason from Georgia. I know from experience how tough it is when the appointments are not fairly apportioned. The councils debate, deliberate and vote on issues of concern for their jurisdictions in federal waters, but their vote is not “final”. In other words, the final approval must come from the “boss”, which again, is the “Secretary”. All of this is set up via the Magnuson Act, which morphed into the Magnuson-Stevens Act when it was reauthorized later. From day one, the Council appointments have been made by the U.S. Secretary of Commerce. From day one, any regulations passed by the Councils must be approved by that same Secretary. The Modern Fish Act changes none of that. That’s not to say that the appointment process is fair, (it’s not) and that’s not to say that the decisions of the Councils are always correct, (they are not.) But ultimately the Secretary, in this case Wilbur Ross, nominated by President Trump in November 2016 and appointed the following February. So you can imagine why I’m confused when certain groups brag about a bill they got passed and signed that doesn’t do a heck of a lot. That confusion leads to frustration. Why? Because the REAL DEAL, the Magnuson-Stevens Act, the one that has the meat, is due for reauthorization and it didn’t get done in 2018! A very good version passed the House but the Senate, instead of acting on it, passed the Modern Fish Act in the waning days of 2018. As noted, the administration has stated concerns over the increasing power of the councils and the appointments of the council members. Well, the U.S. Secretary of Commerce is the ultimate authority when approving what the councils are doing and that same Secretary is the one that makes the ultimate decision on the appointments to the councils. Maybe a nap will help make this seem clearer.